The Hodge Sports Centre is a sporting and recreational facility at Scot’s College’s Wellington campus. 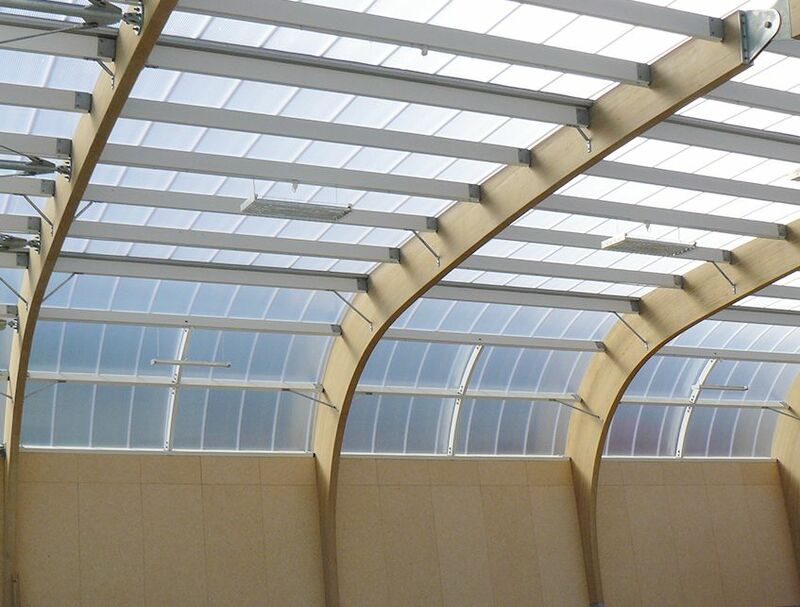 The building’s primary structure consists of complex curved Glulam portals to form two sides of a covering ‘shell’ of polycarbonate cladding. The portals create a tubular interior space with the frame fixing points expressed with pin joints at the apex, and socket joints at the base. 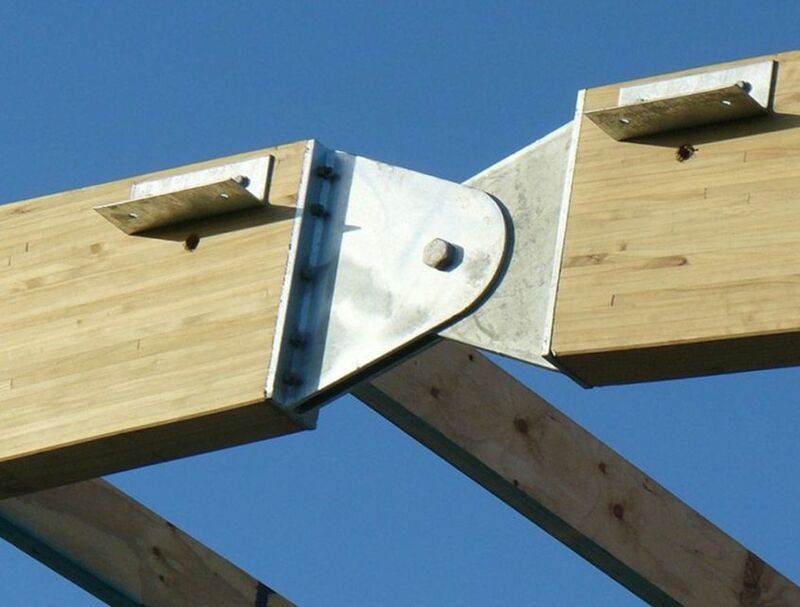 Techlam manufactured and delivered the portal frames to site, with an early morning delivery required due to the over-dimensional nature of the beams. The timber laminates and grain of the portals were finished with a clear coating. The gentle curves create small spaces between the portal legs, where seating and storage elements are situated. 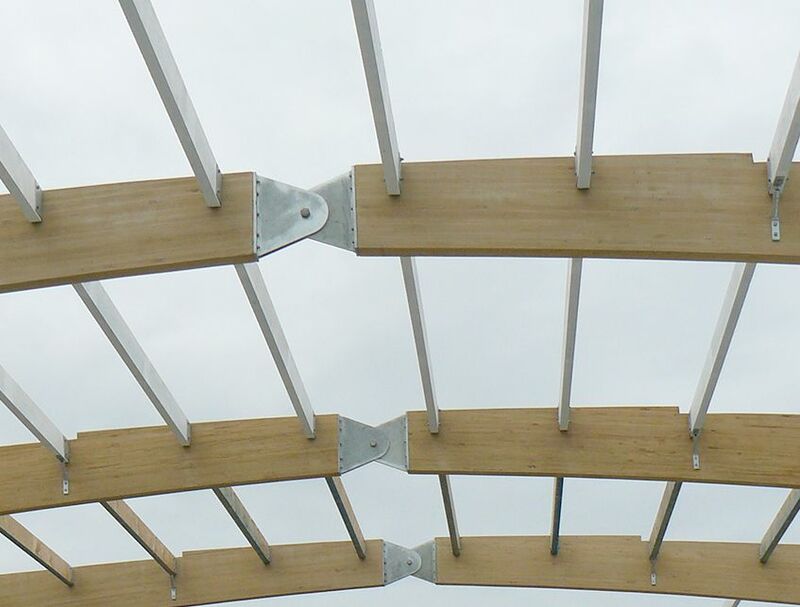 The secondary structure is made up of timber LVL purlins and steel cross bracing tension rods. The tubular interior space forms a shell of protection from the worst of Wellington’s weather, allowing year-round sporting activities. 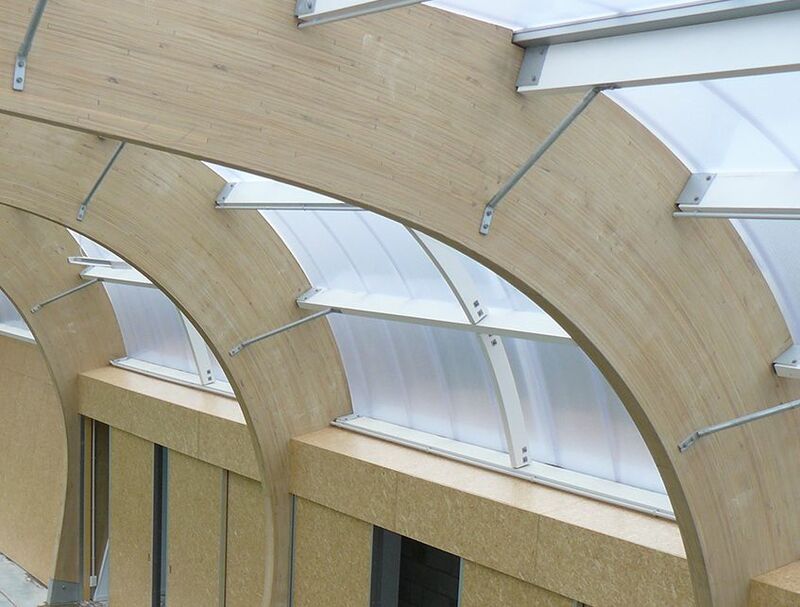 This structure received a Highly Commended award at the Timber Design Awards 2012 - Engineering Excellence. Large curved tapered beams and portal frames make a strong architectural statement, while providing practical shelter and seating for year-round sporting and recreational activities. All of the brackets and components of the laminated purlins were pre-fabricated in the Techlam plant before being assembled on site.